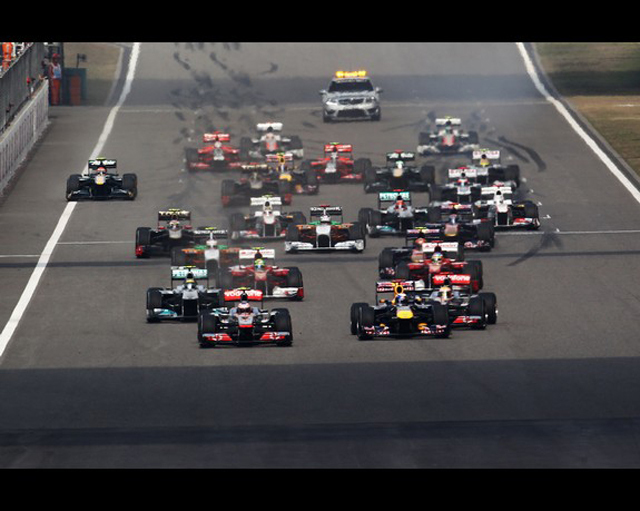 The circus that is F1 returned to Shanghai, China for the 2011 Chinese Grand Prix over the weekend and the spectators were treated to a dramatic race that saw 6 different leaders. The theatrics started straight away with the Vodafone Mclaren Mercedes team as Lewis Hamilton’s car decided to act up literally moments before the race start! The team was thrashing away on the car in the garage while the other cars were lining up on the grid. They were able to fix the problem (a flooded engine) and get Hamilton onto the track with just 30 seconds to spare before the allotted time ran out and they would have to sacrifice Lewis’ P3 starting position he fought hard to earn in qualifying. Once the lights went out and the race began the rest of the drama came from the pit stops. Most teams are still trying to figure out the limits of the new Pirelli tires so many were forced to make three pit stops throughout the race. However McLaren and Red Bull Racing seemed to have things figured out and were able to make their fuel and tires last, thus both teams only had to make two pit stops which transformed the race into a battle between Lewis Hamilton and Sebastien Vettel. There was much back and fourth between the two rivals but Hamilton won out in the end with a brilliant pass on the 2010 champion with only 5 laps to go. Lewis held off Seb and took home the win. 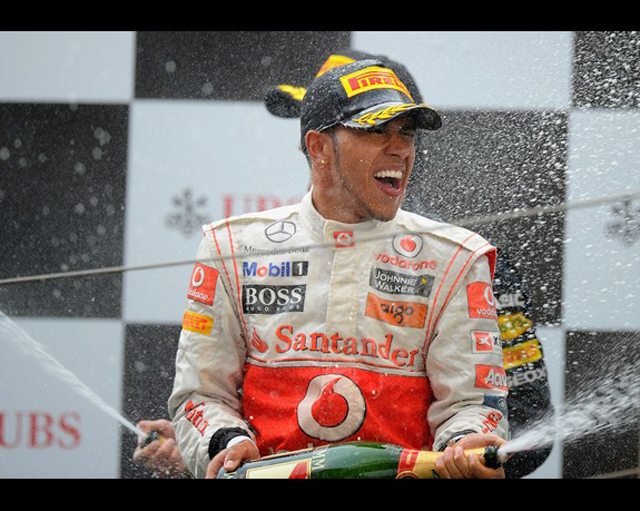 His victory pushed him up to second place in the points but he is still about 20 points behind the dominant Vettel. Although technically I’m supposed to be impartial I have to say I am glad to see Lewis Hamilton back in the winner’s circle again. Certainly makes things interesting! The unfortunate side-effect of dominance is boredom but Hamilton and the guys at McLaren fixed that right up for us. Good job dudes! Check out SPEED for a full post race report.